Ozwol is the solution for all your images analysis and transformations. With a simple integration, you will gain immediate access to an incredible service. Some Case studies, as displayed below, will provide a better picture of what Ozwol can do for you. Using the Ozwol API, any legacy DAM platform can provide its users with advanced functionalities based on AI algorithms, without managing any additional research, development, tests, and maintenance. Using a simple POST request, you can send an image to be analyzed or edited, and this image and its results will be retrieved in just a matter of seconds. The editing operations include typical post-production activities such as conversion, resizing, color curves application, background removal, image blending. Also, you can access more advanced functions, including automatic colorization, minors’ identifications and blurring, logo overlay on specific areas such as car plates as well as known people identification (even when not, classified as celebrities). The same image can be processed with multiple scripts without resending it. Furthermore, processed images can be deployed on various destinations. If you need to publish your contents to CDN, it is merely a matter of sending them to Ozwol. With only a few simple clicks, you can create powerful functionalities, ideal for the fulfillment of your everyday needs. Classifying and labeling large quantity of images is a common challenge witnessed by companies, regardless of their dimensions. With Ozwol Engine, you can automate this process by classifying images with the use of keywords. A typical challenge seen by many is that many keywords are often irrelevant, especially in regards to the specific context and company. 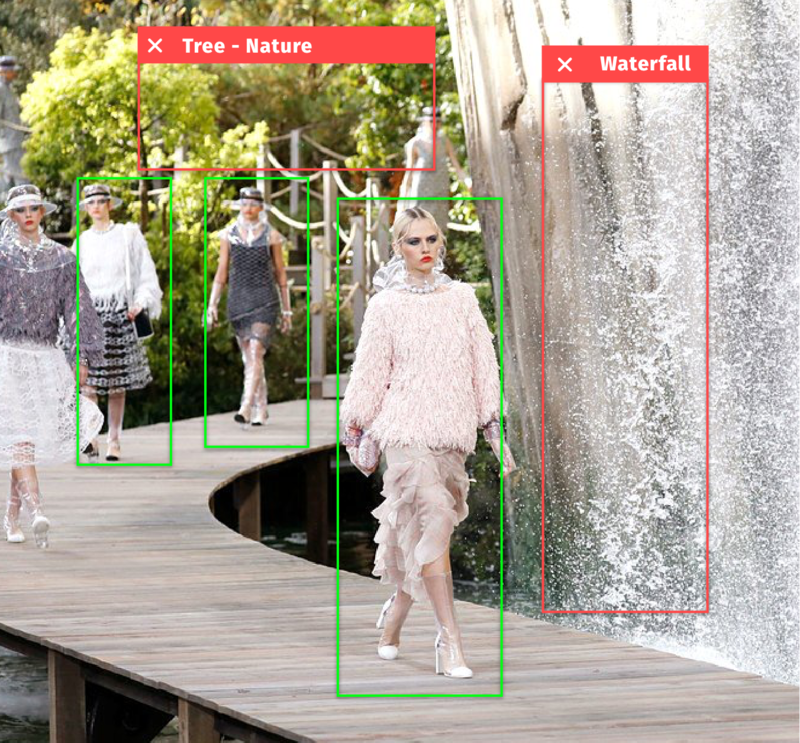 For instance, A fashion company should classify an image that represents an outdoor runway show with keywords like "runway", "suit", "model" and "outdoor", and not with "grass", "tree", "fountain" and "bench" only because these elements are actually part of the image. With Ozwol, this problem is solved by running the analysis of the image according to a specific field (fashion, automotive, food, etc. ), thereby limiting the use of impractical keywords. Are any of these areas of interest to you? Feel free to contact us. An interesting case study is a challenge seen with detection and identification of known people, who were not previously classified as "celebrities." 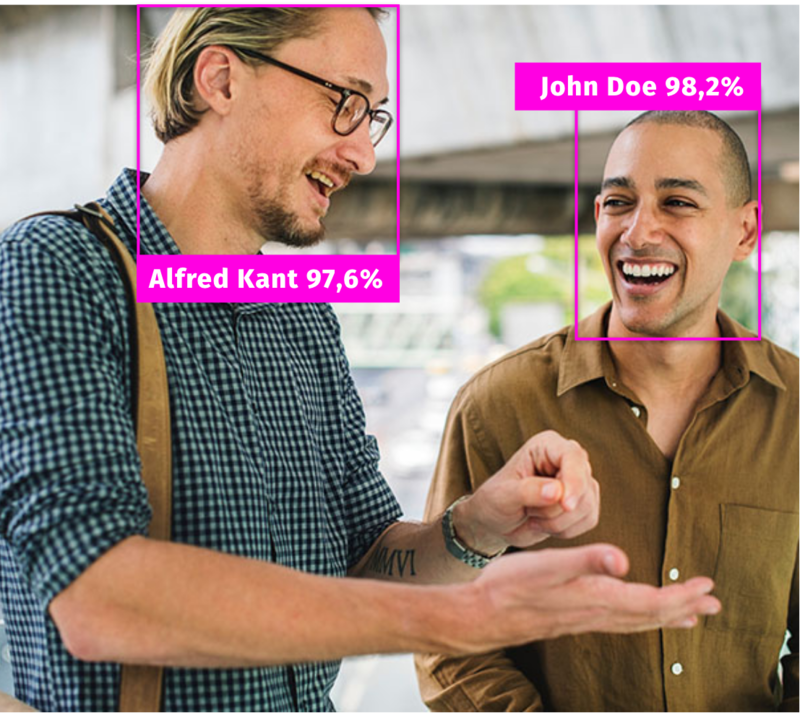 Using a small set of images that represent the people that you want to find, you can manipulate the system to identify them within these images. Using this solution, you can automatically tag images that represent the management of your company or identify the images that contain people that asked to be removed from public viewing due to their individual needs. The desire to instantly publish images in different formats is a common challenge. It is also vital that the final users can gain access to these images as fast as possible. Ozwol platform provides a dynamic and straightforward solution that generates each version of each image only if required and then, publishes them to CDN so that these images can be quickly distributed around the world. The required format is specified by the URL, making it easily accessed and used on all digital channels, including websites, social media platforms, and mobile apps. With regards to your desires, they can equally contain a unique code to track their usage using any Analysis Tools. Eventually, you can define embargo and/or expiry date for each image, to regulate publishing as well as integrate the timeline to pull back your digital contents, ensuring that you have full control of every one of them. Do you have any challenging requirement? Contact us and submit your case, we are happy to search a solution that will satisfy your needs.